Pulau Abang Batam Promotion Tourism Kepri Batam Island Abang located at the port of Bridge 6. Place to be snorkelling cheerful with the beauty of the underwater park. With some Abang Island Snorkelling islands such as Choi island, Dedap island, Rano island, Ghost island, Pengalap island, Red sand beach. 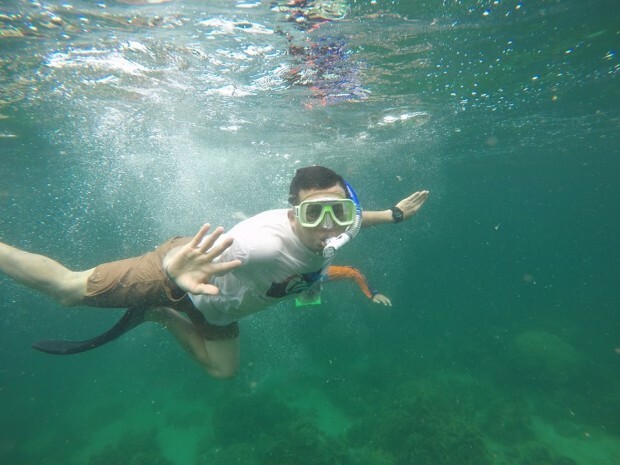 The main activities of Kepri Tourism in Batam Island Abang is snorkelling or see the beauty of the underwater park garden featuring interesting coral reefs and decorated in various shapes, sizes and colors of many sea creatures. Coral reefs are also rare and coral reefs are needed by the presence of a variety of marine life, as a nest and also their food. One of Kepri Tourism in Batam is Abang Island which is located at Bridge 6 Barelang. Barelang itself is the abbreviation of Batam Rempang Galang as the three largest islands united by Barelang Bridge. Abang Island itself is approximately 60 km distance from Yellow Muka, or the required time is 1.5 hours drive from Batam to Bridge 6 Barelang. And also Abang Island is surrounded by small island islands, most of which is a conservation area of coral reefs. Why can only snorkelling at Bridge 6 ??? Frequently asked questions are why to snorkel or see the beauty of the underwater park, to be on bridge 6 or at the end of Barelang. 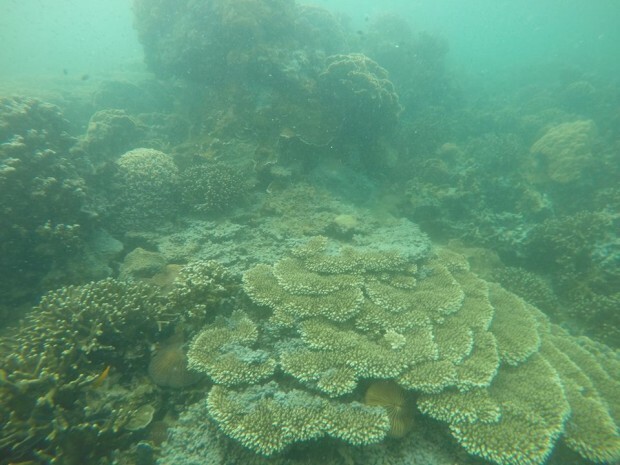 The answer is that coral reefs can also be referred to as nests and fish food places of marine fish. Kepri Tourism Abang Island as much as possible should continue to be preserved for its underwater park can still be beautiful and can be seen continue. Batam was once known as an industrial area resulting from Bridge 1, 2, 3, 4, arguably its water was contaminated by waste from the industrial estate, resulting in death from the coral reefs. 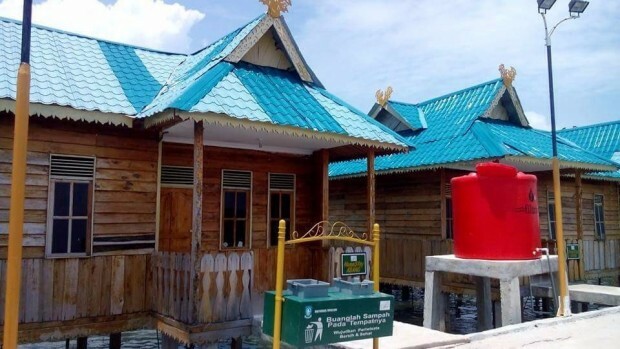 Like a tourist place that has been professional, then Kepri Batam Tourism in Abang Island also provides a place to stay with two options namely the place of stay provided specifically for the immigrants and also a place in the home community. The migrants can choose from these two options. Fly between the borders of the sea and the air, making this self float following the waves slowly land forward with our frog boots and the help of buoys. An experience we will never get from swimming in the fresh water. The difference between sea water and freshwater is its salty sea water, making our weight becomes lighter. Conditions like this that make the immigrants become addicted. Because the beauty of the park is not only on the mainland, but also in the sea. With a wide variety of living creatures and plants that live under the sea is cool. Along with the development of Riau Islands Tourism in Abang Island, both the local migrants of Batam and also from other provinces. 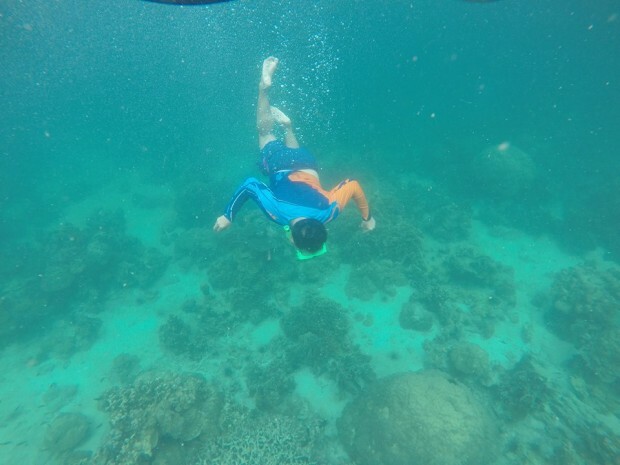 Apparently Riau Kepri Tourism on Abang Island, also invite the curiosity of the tourists foreign tourists, who want to see the beauty of the underwater park with snorkelling. 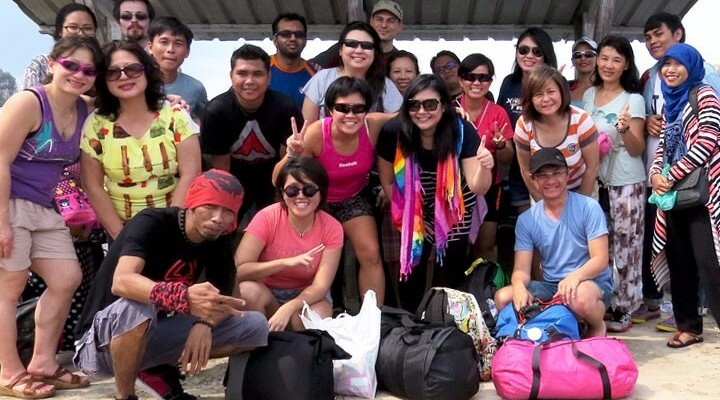 Several tourists from Singapore, Malaysia, Switzerland and Germany were recorded in a photo together at the port of Abang Island. Wow, the water is so clear. Would like to visit this place. 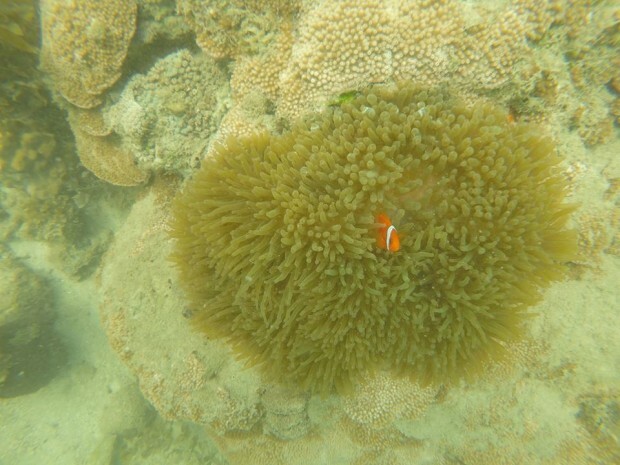 I see Nemo there waving at me! Pulau abang emang keren, ngk pernah bosan sama keindahan bawah lautnya, apalagi ada jasa tour gini, makin mudah dan ngk perlu pusing ke sana naik apa, tinggal duduk manis. Wah banyak juga ya wisata batam sekitarnya, om. Pengen nyoba jg ke sana nih. Makasi sudah memberikan informasi dengan lengkap.